Sales and Marketing Manager in.. Basic Computers & MS Office &..
Holiday Travel provides schools & colleges excellent educational tours & excursions, which are tailor made for school kids & college students. Our educational tours are managed by our team of experienced professionals who have diversified experience in providing the quality & educational travel services. Our team members are highly experienced and have long history of providing educational traveling; We take travel as a hobby instead of job and understand the requirement of every students. For young Students, exploring the different dimensions of the India, its Ecology, Religious places, wild life & history is one of the great learning curve. It also offers students to learn by being away from the school & home environs. By attending excursions, students learn resonsibility, experience, Team spirit etc. We have designed our educational packages up to the minutest detail for every exclusive tour packages helping childern to gain immence knowledge. 6. Agra Educational Tour ( Taj Mahal & Agra Fort) - 3 Days. 7. Delhi Educational Tour - 4 Days. 8. Chandigarh Educational Tour - 1 day. 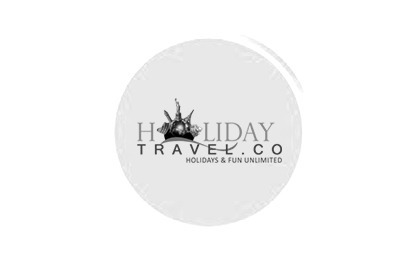 Holiday Travel is expert in providing educational trips for schools,colleges & unversities. We have been providing top quality educational tours across India. With great experience, we’ve taken school and college students on educational visits from the landing beaches of Goa to the Majestic Himalayas in Ladakh. Our dedicated team can arrange your perfect educational trip and support you every step of the way. We offer tailor-made education trips to destinations across the world, providing stunning educational tour experiences enhancing pupils’ understanding of academic subjects from Music and History, to Art and Geography. Educational trips with Holiday Travel are organised to be wide-ranging and flexible. We work with our teachers to ensure that we meet the specific requirements of each educational tour group. We have an experienced team on hand, waiting to help you arrange the perfect educational visit. Our Safety Management System has been independently audited and we are members of the School Travel Forum – you can be sure you’re in safe hands during your educational trips with Holiday Travel. We are fully financially bonded, meaning you can rest assured that your money is safe. We are passionate about creating learning experiences that inspire over 1,000 children every year through educational trips across the world.